CEP - Buy 2. Get 1 Free. Home › Shop › Staff Picks › CEP - Buy 2. Get 1 Free. 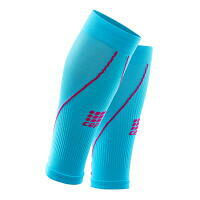 My favorite pieces of running gear are my CEP full Compression Sock and Calf Sleeves! I use them everyday for everything from training runs to 5Ks races to marathons (and sometimes to pick up the kids from school). The compression increases blood flow to my muscles, keeping my legs feeling fresher longer. They also decrease muscle vibration when my foot hits the ground, reducing soreness and fatigue. 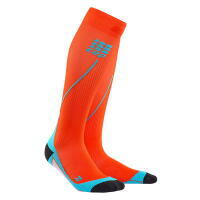 I've tried other brands but they do not offer the same quality compression that CEP does, and the fit of CEP is superior to others on the market. They are sized by calf circumstance so you don't have to worry about them slipping or twisting. I love CEP for both running and for post-run recovery. I have several pairs in funky colors that inspire fun bright coordinated workout outfits. 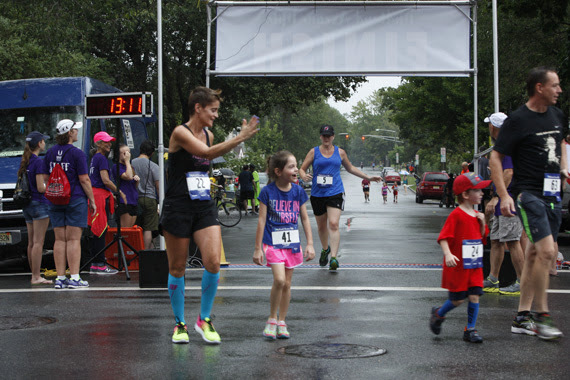 The CEP Night Run Sock has built in side reflection properties and neon colors for improved visibility in the dark. There is alway a set of CEP socks clean, ready and waiting for me to hit the road (unless I am behind on laundry)! If you haven't tried CEP yet, now is the perfect time. 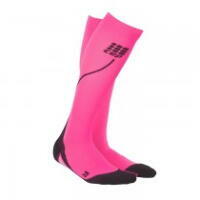 For the month of October, all CEP socks & sleeves are Buy 2 Get 1 Free!! As with any of our promotions like this, the least expensive pair is free.